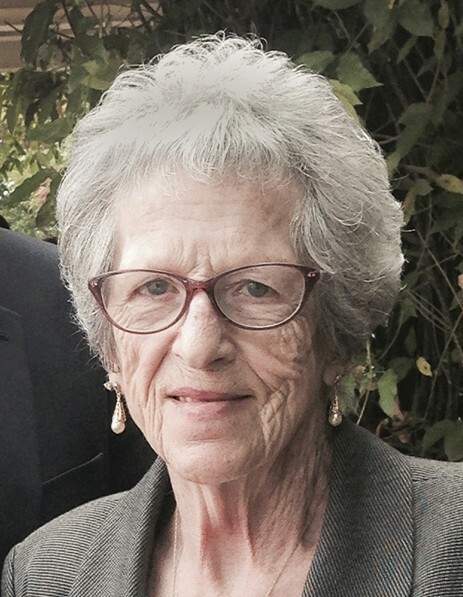 Ophelia “Ann” Smith Clarke, 86, of High Point, passed away peacefully on Thursday, March 28, 2019. Ann was born in Taylorsville, North Carolina on November 8, 1932. She was the daughter of the late John Edsel Smith, Sr. and Kate Hines Smith. The youngest of six children, Ann was raised in Taylorsville and graduated from Taylorsville High School in 1951, where she was a member of the National Beta Honor Society, yearbook and drama club. She received her nursing degree in 1954 from Mercy Hospital School of Nursing in Charlotte and enjoyed a long career working as an RN. Ann was preceded in death by her husband, Jack Clarke; siblings, John Smith, Jr., Jack Smith, Keith Smith, Ruth Little, and Helen Little. Those left to cherish her memory are her former husband, Dean Cash and wife Carol; devoted sons, Steve Cash of Greensboro, NC, and Jeffery Cash and wife Angie of High Point, NC; grandchildren, Amelia Cash, Jennifer and husband Shay Walters and Scott Cash; great-grandchildren, Hudson and Hailey Grace Walters; sisters-in-law, Catherine Smith and Rebecca Smith and several nieces and nephews. Ann was a devoted wife, mother, sister, and friend to many. She loved the beach, the outdoors and spending time with her grandchildren. She will be deeply missed. A gathering of family and friends will be held from 12:00 PM until 1:30 PM Saturday, April 6, 2019, at Wright Funerals-Cremations, 1726 Westchester Dr., High Point. In lieu of flowers, memorials may be made to Hospice of the Piedmont, 1801 Westchester Drive, High Point, NC 27262. Condolences may be expressed online at www.wrightfs.com. Wright Funerals-Cremations is in charge of arrangements. © 2019 Wright Funerals-Cremations. All Rights Reserved.